That generic square is annoying. 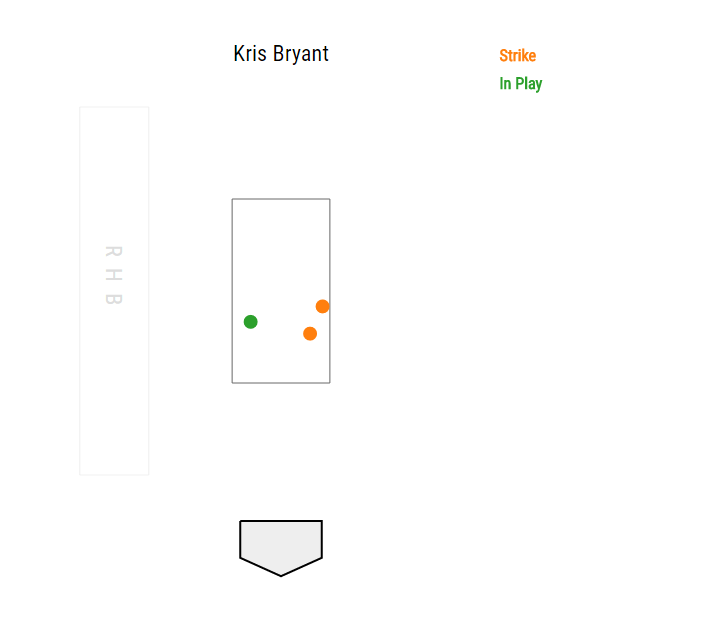 They get yelled at if they do (not a great version of it, parallax issues, not necessarily altered for each batter height) and if they don't, I guess. "It's a good hitting and good pitching environment." I don't mind the PitchTrax on the side though. It's amazing how much better the Cubs hitters look when not facing Kluber, Miller, or Allen. This is your 0-2 pitch? Did they just try a pickoff while he was on the bag? .800+ expected BAs on both of those balls in play according to statcast. Tomlin is about a 1.25 pitch guy so I'm not sure how long he'll last today. Am I the only one whose rooting interests are simply "GAME 7" ? How short is the leash for tomlin? I think they stick with him for a bit because they can't destroy the pen today. You have to win 1 of 2. You don't have to win this one. Crushing the pen today in a game you might lose anyway isn't a great idea. Who's the long man for Cleveland? They don't really have one. Maybe Salzar?